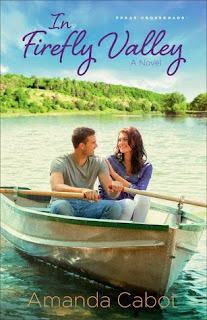 Like the previous book in the series, In Firefly Valley is slow moving, but in a relaxing way. I enjoyed all the characters in the small-town community. The personal struggles of Marisa were realistic as she deals with her issues of abandonment and anger. Blake and Marisa have great kissing scenes, and secondary romance between Drew and Lauren was nice. Strong themes of family, alcoholism, anger, secret identity, trust, grief, and forgiveness, and second chances make this more than just a light read. 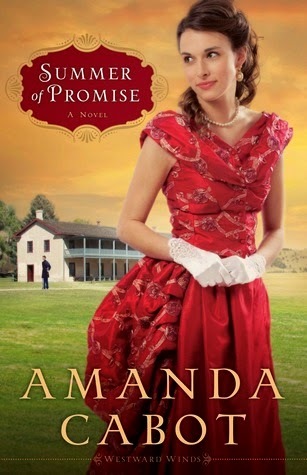 Download the e-book of Summer of Promise by Amanda Cabot for free! Though she had planned to spend the summer in Vermont, Abigail Harding cannot dismiss her concerns over her older sister. Charlotte's letters have been uncharacteristically melancholy, and her claims that nothing is wrong ring false, so Abigail heads west to Fort Laramie, Wyoming. When her stagecoach is attacked, Wyoming promises to be anything but boring. Luckily, the heroics of another passenger, Lieutenant Ethan Bowles, save the day. Marketing maven Kate Sherwood’s world is fast-paced, challenging, and always changing. 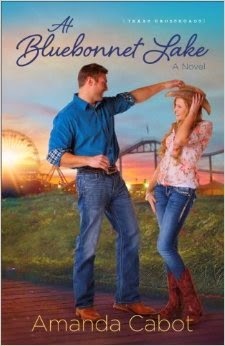 The last thing she wants to do is slow down to a crawl at Rainbow’s End, a dilapidated resort in the Texas Hill Country. But she cannot deny her ailing grandmother’s request to visit the place where she and her deceased husband spent one glorious week (albeit fifty years ago). There Kate meets Greg Vange, the resort’s handyman. But there’s more to Greg than meets the eye– billions more, in fact, as he recently sold his successful software company and is at the resort in search of what’s next for his life. Kate isn’t looking for romance, but she can’t deny the sparks of attraction that fly every time she and Greg are together. She even starts to see potential in the rundown resort. Could there be a future there? Or will Kate’s long-sought promotion take her back to the big city? This was a simple, leisurely, and pleasurable read. The characters are well-developed and have enough individuality and quirks to be interesting. The plot is predictable and I found myself skimming through some of the paragraphs but the small moments between Kate and Greg towards the middle through the end of the book are what I most enjoyed. The subplot with Kate's grandma and a local senior gentleman as well as a cast of likeable townspeople rounded things out well. The author's note at the end of the book promises at least two more books in the Texas Crossroads series.